This story was updated Friday, March 29, 2019, at 4:15 p.m. with more information. Yeah, you don't see that everywhere. 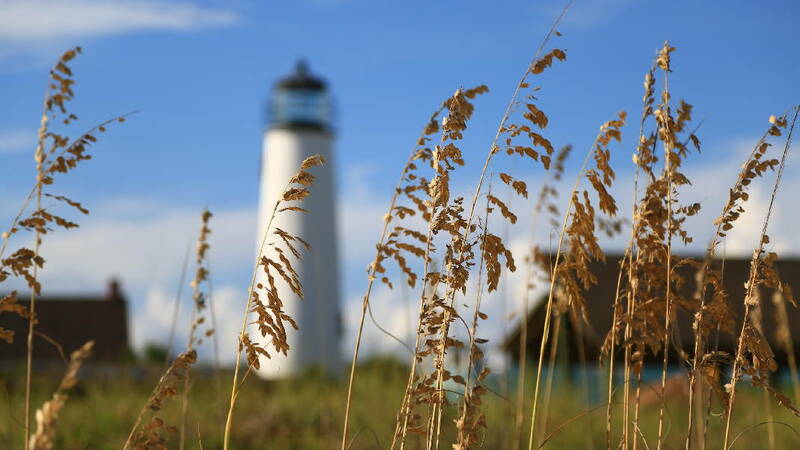 But that's one of the charms of St. George Island, a slip of land located along the Florida Panhandle near Apalachicola, just west of where the state curves south. The area calls itself The Forgotten Coast. The island is 22 miles east to west but is only a few hundred yards north to south. You can walk from the ocean to the St. George Sound in about 10 minutes. 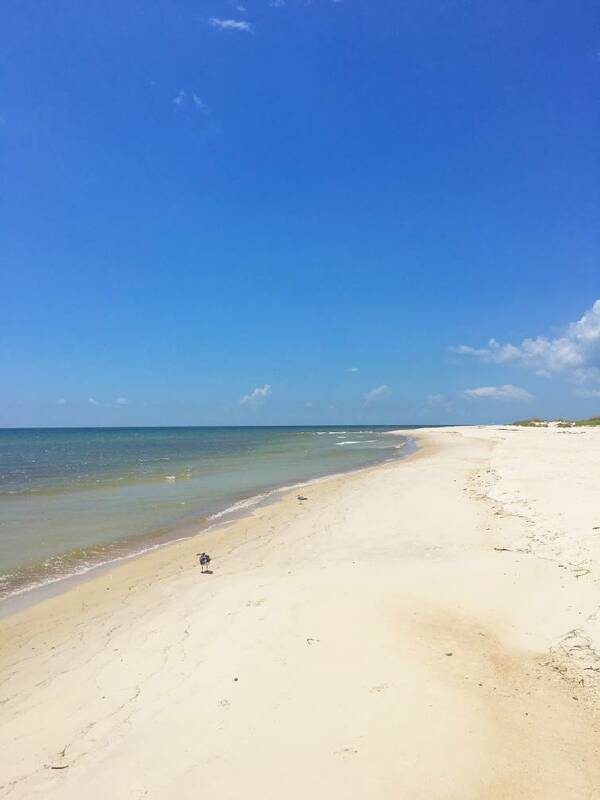 Emptiness is one of the major pleasures of St. George Island. Stand on the island's beach and look left. Fading off into the distance, a few people sit in the sand or wade in the Gulf of Mexico, but yards and yards of space separate them. Look right. The same. No big blue umbrellas block the view. No lines of wooden chaise lounges march off into the distance like a military parade. The quiet and lack of bustle is a 180-degree change from more-familiar places like Gulf Shores, Destin and Panama City, where you sometimes feel as if you're crammed against your new "best buds" who yell at their kids to "Get back c'here!" and play their music at the same levels as an F16 fighter jet taking off. High-rises are not allowed on St. George; two-story houses are the tallest residences. No commercial business or restaurant chains are allowed either, so the eateries on the island are owned by residents or local people. Gulf Beach Drive cuts down the middle of the island from end to end with three others — Pine, Gorrie running parallel to it. To get you into residential areas, shorter streets run perpendicular to the main drags. The business district is centered on the intersection of the 4-mile-long Bryant Grady Patton Bridge/U.S. 300 and Gulf Beach Drive. There are a couple of groceries, gas stations, restaurants, souvenir shops, bike rentals, real estate businesses. Oh yeah, places to buy liquor, craft beer and cigars. Mainstays of Gulf vacations. Bikes are a constant sight. Pets are welcome. To get fresh seafood, try Doug's or Dail's trailers. Both are on the island daily; Doug's is bright yellow; Dail's is white. As you'd expect, the offerings are fresh and, when it comes to seafood, the difference between fresh and frozen is easy to taste. If you like oysters — and if you don't, why are you going to the area in the first place? — one of the best places to find them is Lynn's Quality Oysters. You aren't going to find better than in this cinderblock rectangle squeezed between U.S. 98 and St. George Sound. The real deal. Sit on the open-air patio and look over the rail. Down below are thousands of oyster shells dumped, tossed or dropped. Natural recycling. You can get eight ways to serve oysters on the half-shell, from Rockefeller to Jalapeno to "Margarita" (mozzarella, tomatoes, garlic, basil). But you aren't going to beat raw oysters with horseradish and hot sauce sitting on a cracker. Under no circumstances should you miss the smoked mahi mahi dip, if they're making it that day. Even if you don't like fish, you'll like it. You also can buy oysters, shrimp, crabs and gumbo there. For a higher-end meal, try Up the Stairs in downtown Apalachicola. The food is excellent, naturally focusing on seafood but with steak and other entrées available. It's expensive, but for a one-night splurge, it's doable. If you're heading to St. George Island and your kids are older than about 8, you'd better carry an Xbox or laptop or some other tech device with you because there is literally nothing to do on the island except sit on the beach, read, ride bikes and eat fresh seafood. But if you're adults and not taking children, why would you need more? 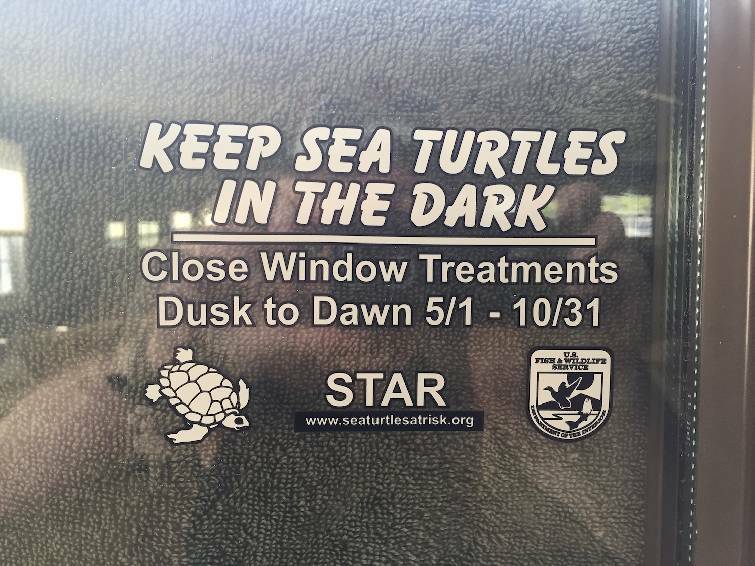 CORRECTION: A photo caption about St. George Island, Florida, should have specified that sea turtle hatchlings are particularly vulnerable to light pollution.